Sometime you don't need a big fancy swimming pool to have fun. Brody loves playing in our little pool in the back yard and I get a chance to sit and relax while he splashes water on me. It's a great way to cool off. 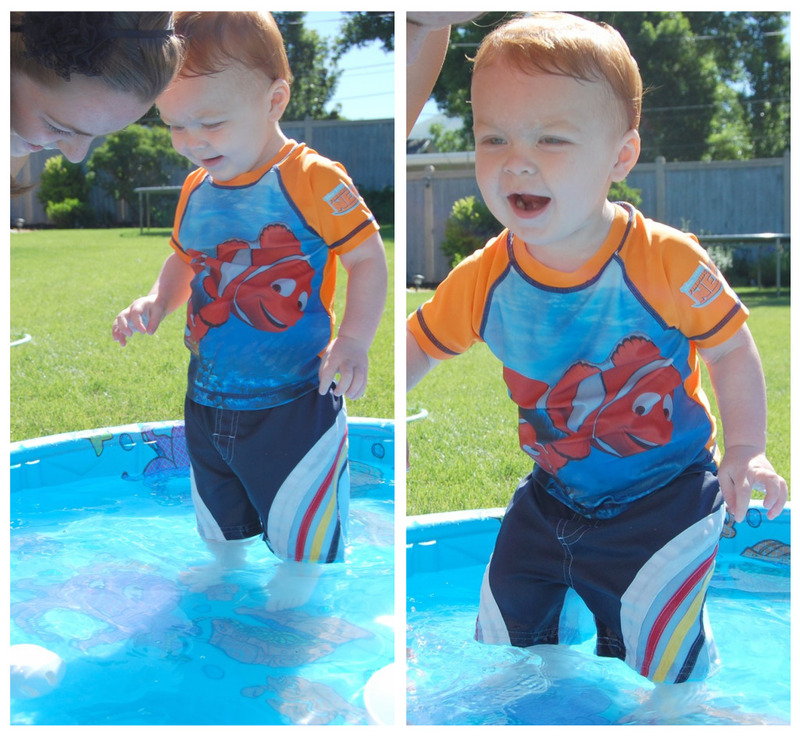 I agree our $7 pool from walmart is the best thing ever in the summer! That boy is just too darn cute!